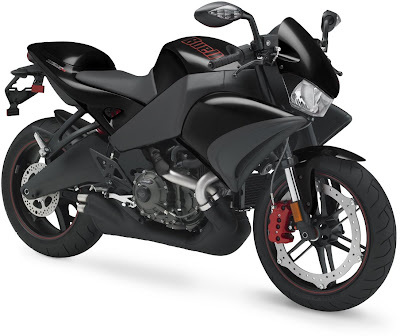 Introducing the new power-to-weight class leader, the Buell 1125CR. 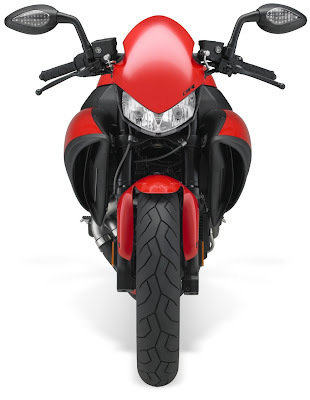 A fearsome blend of superbike performance, sinister styling and wicked attitude, it pushes the boundaries of the naked category. 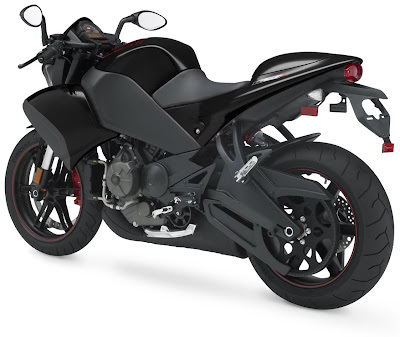 This 21st century, café racer combines a featherweight chassis with a dominating 1125cc liquid-cooled, V-Twin for powerful acceleration in any gear. 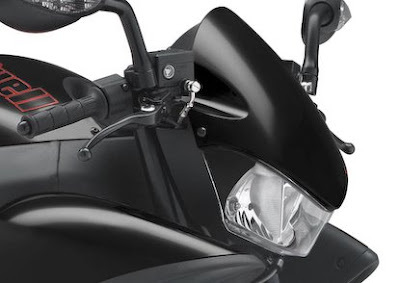 Add to that its aggressive, sport riding position and precise handling and you’ve got an experience like no other. Battery (per Battery Council International Rating): Sealed Lead Acid, maintenance-free, 12-volt, 12 amp-hour (per Battery Council International rating), 200 cca. 1 Specifications for non-U.S. markets might differ. 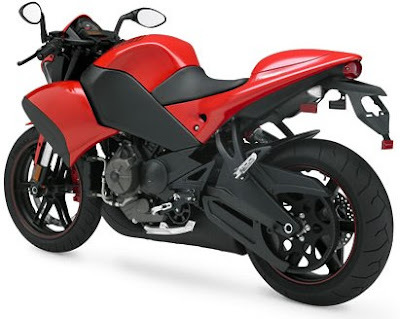 Buell reserves the right to discontinue models or change specifications at any time without incurring any obligations. Vehicle specifications may vary from country to country depending on local laws. Some models are not available in certain countries. 2 Hibrex® and Flexten® are registered trademarks of Veyance Technologies, Inc.
3 Showa®, Dunlop® and Pirelli® are registered trademarks of their respective owners. 4 Availability may vary from dealer to dealer, and is subject to change without notice. 5 Unladen, wet configuration (no rider, all fluids). 6 Laden, wet configuration (design rider, all fluids). 9 Oil capacity at oil change with filter. 10 Based on tests conducted under lab conditions per U.S. E.P.A. test procedures. 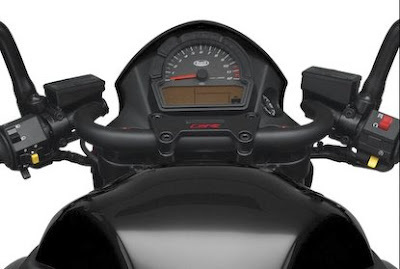 Mileage will vary depending on personal riding habits, weather conditions, trip length and vehicle condition.